If you’re looking for personalized Father’s Day gifts, you’ve come to the right place! We offer everything from personalized neckties to photo desktop plaques that Dad can display at the office. Our custom photo books also make a great gift since you can showcase all of his favorite memories in one place! Select from a range of custom book styles including lay flat, soft cover, and glossy hard cover. Customize each page and then design your cover front and back with pictures and text for a professionally printed look! 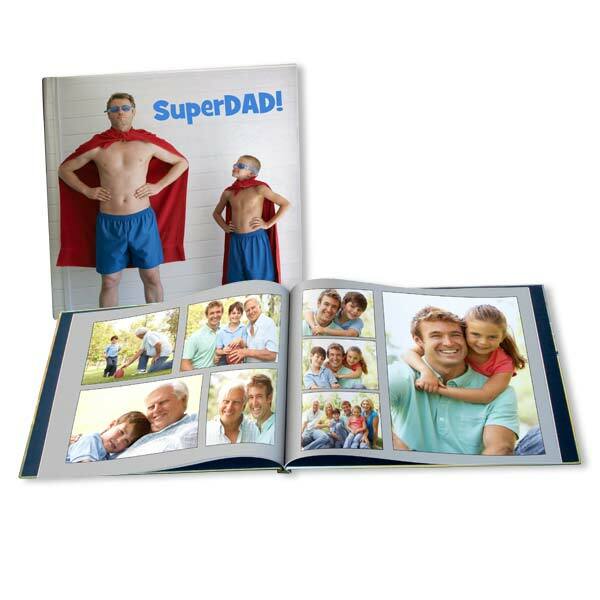 Once you’ve completed Dad’s book, don’t forget about making him a Father’s Day photo card. Browse our collection of card styles and templates, and add your own photos and personal message. When you want to make something that comes from the heart, Winkflash has all the custom options and products you need to make this Father’s Day special!